Throughout the existence of Poland, the contributions made to the betterment of mankind is innumerable, and I am glad I can say “Jestem Polski”. To me, being Polish-American includes three pillars that should be practiced by all patriotic Poles, the first of which being the practicing of Polish culture and traditions. Being Polish-American also means studying the academia and works of art and literature born out of the heart of Central Europe, Poland. Finally, a large part of having a Polish heritage is Catholic faith. To me, being Polish means to be cultured, to be studious, and to be religious. To me my Polish tradition means implementing Polish culture into my life. one of the ways I do this is by enriching my vocabulary with that of the Polish language, whether it be in song, or conversation. Implementing the culture of Poland also means to celebrate holidays as a Polish-American. This means having Polish food and drink, and celebrating in a Polish way, by following the customs and traditions of Poland. Being Polish also means studying the humanities of Poland. I do this by reading the likes of Adam Mickiewicz and his poetry, of Leszek Kolakowski critiques of Marx. Studying Poland’s humanities is also understanding the history of Poland, seeing the art of Poland, and hearing the compositions of those such as Fryderyk Chopin. As said by Kolakowski, “We learn history not in order to know how to behave or how to succeed, but to know who we are.” Finally being Polish to me means to live out my Catholic faith. I do this by being a lector for my parish and helping with mass. I also help by volunteering in my church community, and helping the less fortunate. All of these things are what it means to be Polish. I am Polish by my traditions, I am Polish by my education, and finally, I am Polish by my faith. I live out my heritage through the holidays I celebrate, the food I eat, and the words I speak. I am living my Polish heritage by the works I read, the art I see, and the music I hear. Finally my heritage is my Catholic faith, which has been and integral part of Poland since the 10th century. In conclusion, being Polish is embracing the culture, the humanities, and the faith of Poland. I wrote an essay last year telling you about my pride in being Polish but I did not win a scholarship. I was proud of what I wrote, so I am sending it again. This time, I am adding a few things. I am leaving for boot camp in a few days. I will do boot camp this summer and then return to do my senior year at Central Catholic. My grandfather joined the Marines right out of high school when he was 17. I am 17 and I am now a member of the Army National Guard. They called my grandpa “Ski” like they did for most Polish guys in the service. Because my last name is Collins, I am a little bit bummed that no one will call me “Ski”. But, I will make sure that people know I am half Polish. Although my name is Collins, my mother’s maiden name is Kwiatkowski and I consider myself to be Polish. My mother, Connie, is the daughter of Caroline (Kasper) and the late John Kwiatkowski. Whenever we celebrate anything, we begin with a prayer. At holidays, we share Oplatki and eat kielbasa, pierogi, placek and kapusta. At birthdays, we sing Happy Birthday followed by Sto Lat. My grandmother is first generation American since her dad Stanislaus Kasper was born in Poland in 1907 in Lwow. His father left Poland ahead of the rest of the family to find a job and settle in Huntington, Indiana. There were 14 children in his family but many of them died while babies. Only five of them lived to be adults. He moved to Toledo to marry my great grandmother, Albina Ciacuch. My great, great grandfather bought land in Huntington, Indiana and he felt so happy to be in America that he wanted to share his good fortune. They grew their own food and canned and they fed any beggars that came to their house. I think that helping others and sharing what we have comes from being Polish. We are generous and hardworking people. I belong to St. Pius X Church in Toledo. My family and I help out with scouts, fish fries, and we help to feed the homeless doing outreach to the community. Our family takes pride in being Polish and we value hard work and dedication to our Church and community. My great Uncle John Kasper is an Oblate of St. Fancis and my great Aunt Sister Mary Ann Kasper is a nun in the Servants of Jesus order. My great Aunt Pat Urbaniak is a church organist and my grandmother works at Lourdes University. I attend Central Catholic and I will be a senior at the start of next year. I play many sports, including cross country, track and soccer. I volunteer at Hospice of Northwest Ohio and help my mom with feeding the homeless every month. This scholarship will be beneficial to both my family and me because my family is light on money and the scholarship would take some of the stress off my hard working parents. I am proud to be Polish because they encourage hard work and charity to others and I do too. I hope you consider me for this scholarship but if not, I will still continue to be proud of my heritage. It’s a blessing and a comfort to know where your family comes from and I’m fortunate to have been enveloped in my mother’s Polish background while growing up. I’ve called my grandpa Dziadzia, ate Polish food at family gatherings and heard stories from my mom about “Busia”, my great-grandmother. As I grew, I realized that not all of my friends celebrated their roots as much as my family did, and I became more interested in learning about our Polish background from relatives and through my own research. At Ohio State, I discovered the Polish Club and met fellow Polish-American Ohio State students. I enjoy attending the club’s events and witnessing a culture take form with such a young group of people. Last year, I was awarded a grant to study abroad and immediately opted for the Eastern European program. During my study abroad program, I visited Warsaw. Our studies focused on the culture and history of Eastern Europe. We learned about Poland’s rich history from the country’s changing size, its role in WWII and today’s modern culture. Immersing myself in my ancestral region helped shape my entire experience in Eastern Europe. I felt connected to my roots and though Poland is much different than it was back when my relatives lived there, I nevertheless felt a strong sense of identity during my visit. It was an incredible experience to put stories my great-grandparents told my mother into context. The Poles were thrilled to meet us and each had a story regarding a family member or friend who lived in the States. Their genuine interest in my life as an American was both unique and endearing to me. This experience became even more special to me this past fall when my Dziadzia, Bob Jankowski, passed away. The loss was difficult for my family yet I feel blessed to have shared a few special months with him bonding over my experience in Poland. I shared trip photos and stories with him, and although he was a man of few words, during those moments, I made a connection with my Dziadzia that I hold close in my heart. I brought him back a hat embroidered with “Polska” from Poland. It now sits on my dresser and not a day goes by that I’m not reminded of him. To me, having a Polish-American heritage means having deep connections; a connection with my Dziadzia and the great man he was; a connection to my ancestors; and a connection to a global community that culturally ties us through our Polish roots, forming instant bonds. The Polish friends I’ve made in Columbus are the same as the Polish friends I’ve made in Warsaw in the sense that we all enthusiastically share and appreciate our heritage. I’ve found the Polish community to be wonderfully open and passionate about their culture. The food is delicious, the history is fascinating, the Polka is fun, but the people, including my Dziadzia, are what make my Polish heritage and honor and a true blessing. Having a Polish-American Heritage means that I have had the unique opportunity to be able to experience many wonderful and remarkable traditions in my life. I have been able to witness weddings with polka bands, grand marches, the oczepiny and the poprawiny. My holidays have been filled with my Great Grandmother’s kapusta, which my aunt creates from our secret family recipe, our traditional trip to Stanley’s Market for kielbasa, my Great Uncle presenting the Oplatek at Christmas and of course, having homemade pierogi on Good Friday. Everyone who shares this pierogi experience with us will always leave our home with the tell-tale scent of butter and onions on them. However, my Polish Heritage is more than just the tangible traditions that have helped influenced who I am. The intangible things have left a more lasting, rooted impression on my life. I realized this when I went away to college last fall. For the first time in my life, I was hundreds of miles away from my family, in a new and intimidating environment and without a friend or familiar face in sight. But then I recalled my Great Grandparents, Ludwig and Hedwig Pietrasz. Ludwig was born in Jeziorany, Poland and had eventually made his way to the United States. Hedwig Pacieszniak was born in Poland on January 8, 1908, lived in Poland during World War I and came to the United Stated when she was 11 years old. The great courage it must have taken them to come to an unfamiliar place, not speaking the language and not knowing anyone. They were strong and remarkable people who eventually met each other in Hamtramck, Michigan and married on July 21, 1925. I realized that I came from a long line of courageous and resilient people and that I too have these strong characteristics and because of this, I was able to not only thrive in my new environment, but to exceed my own expectations. In addition, my Polish heritage has been immersed in love and encouragement. Accomplishments, no matter how small, are shared by every member of my family and celebrated with excitement and enthusiasm. Every stride that I have made and every success that I have had stems back to being able to grow up with this strong Polish legacy and I know it will continue to follow me in my future and in turn, be a part of how I raise my own family. What does it mean to be Polish? It means that family is the most important thing in the world. Our Polish traditions, weddings, holidays and foods are all rooted in strong family ties. My family still celebrated holidays and life events with Great Aunts and Uncles, Grandparents, Aunts, Uncles and Cousins just like my Great Grandparents did with their families. It means that others view us as helpful and reliable. It means that we are not only courageous, but resilient people. It means that I have a strong sense of pride and respect for all who have come before me and all who have helped shape me into who I am today. It means that my Polish beliefs and customs will remain strong and my Polish Heritage of family support, resiliency and reliability will define everything that I do in my future. 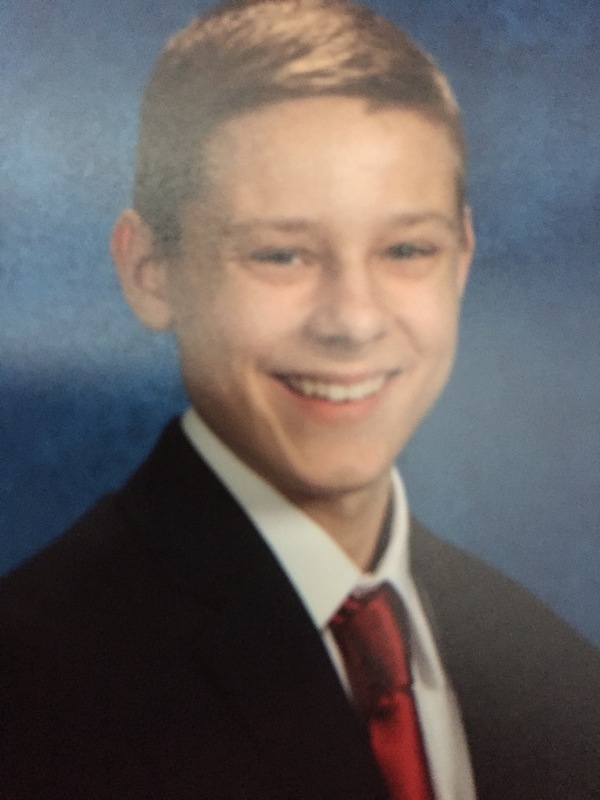 Zachary Pylypuik, age 15, will be a sophomore at St. Francis de Sales High School this coming fall. In addition to playing travel hockey, Zack volunteers as a lector at Holy Trinity in Assumption, Ohio and is an announcer for St. Francis KSN Radio. 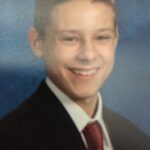 Ethan Collins, age 17, a senior this coming year at Central Catholic High School. 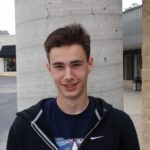 Ethan participates in cross country, track and soccer. He volunteers at Hospice of Northwest Ohio and at “Fishes and Loaves”, an organization which feeds the homeless. 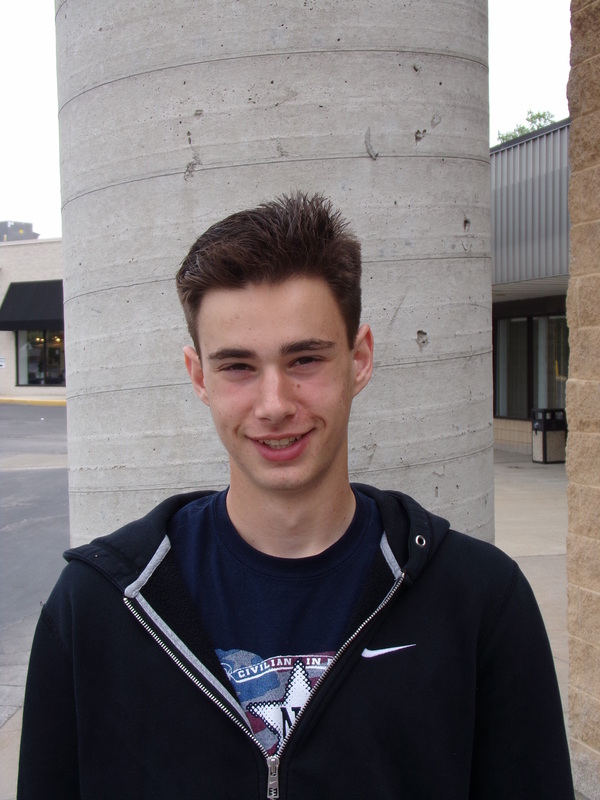 Ethan is returning this August from US Army Boot Camp to begin his senior year. 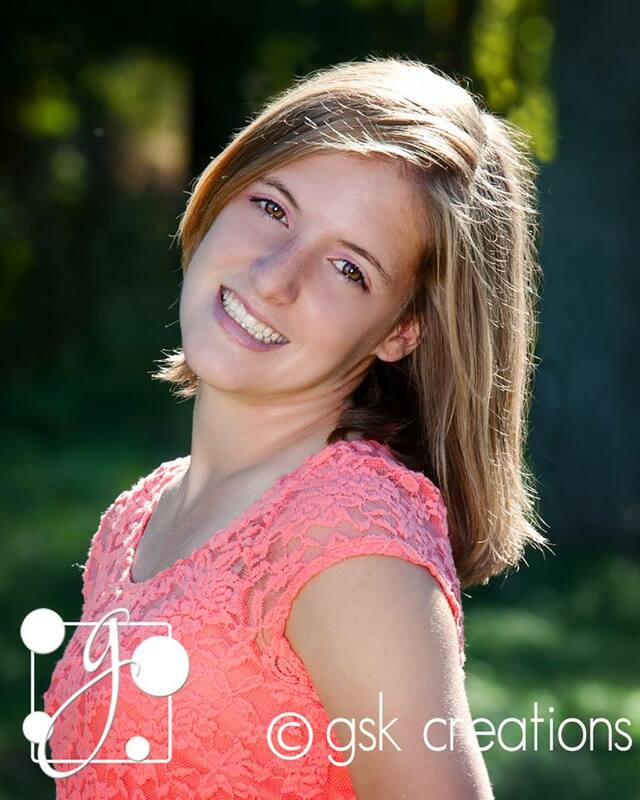 Jessica Pietrasz, age 19, of Rossford, Ohio will be a sophomore at Youngstown State University this fall. She is active in YSU’s Woman’s Cross Country and Woman’s Track and Field. She was a 2014 PACT/TPA scholarship recipient. 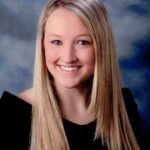 Casey Sobota, age 22, of Waterville, Ohio will be graduating from Ohio State University in 2016 with a major in Strategic Communications. 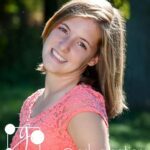 She is a member of the Public Relation Student Society of America and a regular contributor to “Her Campus” Online magazine. 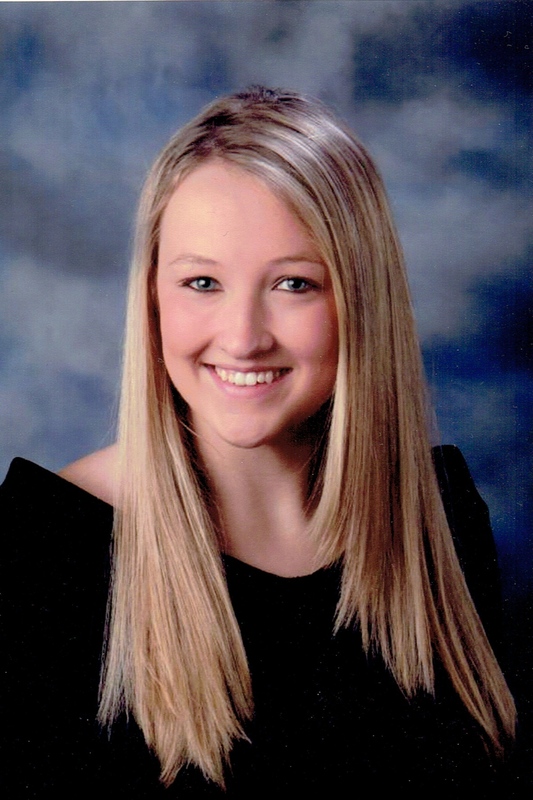 Casey was a 2014 recipient of a PACT/TPA scholarship. Congratulations to this year’s scholarship winners! Each winner will be awarded $1,000 toward their education. Type a name of any of the winners in the search bar to read their essay. 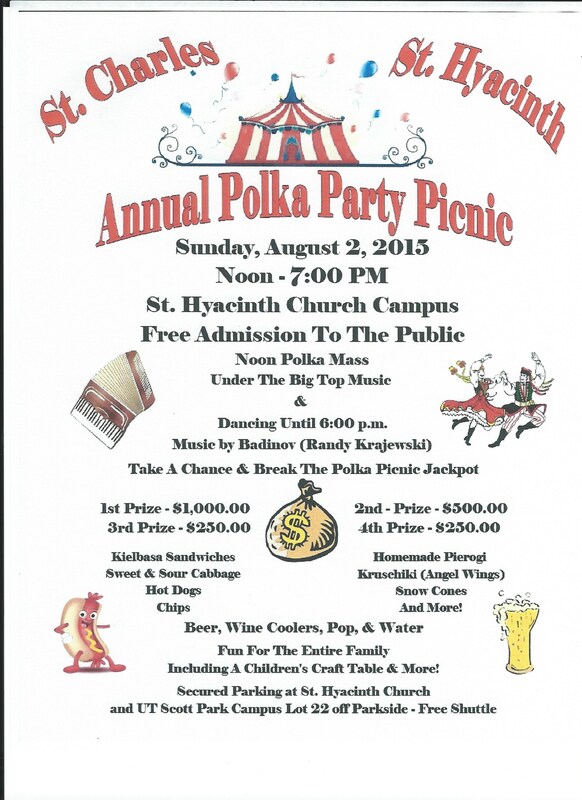 2015 Kielbasa Klassic – Sign Up Now! Sign Up is now open for the 2015 Kielbasa Klassic 4-Man Golf Scramble! Polish Night at the Mud Hens. Witamy! 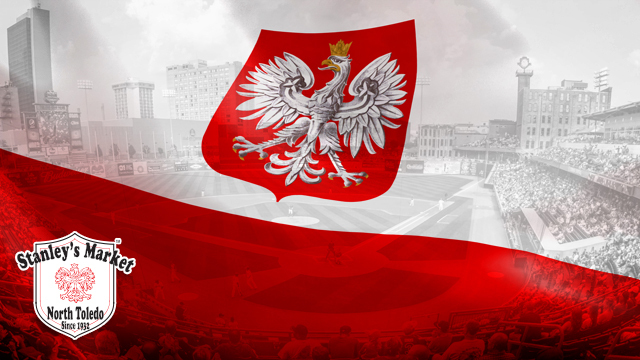 It’s time to wear something red and white, put on your polka dancing shoes and bring an empty stomach to Fifth Third Field, as the Toledo Mud Hens will be hosting Polish Heritage Night at Fifth Third Field on Friday, August 7, presented by Stanley’s Market! Combo tickets are $32 for adults and $24 for children, which include a game ticket and the pregame party and buffet. If you already have a game ticket, add the pre-game polka party and buffet: $20 for adults and $12 for children. On August 7, the Toledo Mud Hens take on Scranton/Wilkes-Barre at 7 p.m. For Polish Heritage Night tickets, contact Hannah Tyson at htyson@mudhens.com, or call 419-725-4367.